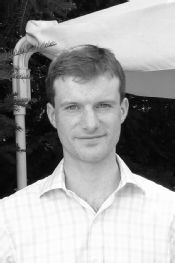 After graduating from Warwick in 2005 with a BA in Classical Civilisation, I chose to remain in the Department of Classics and Ancient History to continue my studies at postgraduate level. When I completed my MA by Research in 2006, I was lucky enough to be awarded a fully-funded doctoral studentship at Warwick, and went on to submit my PhD thesis in 2010. With its commitment to excellence and innovation in research, in addition to its wide range of specialisms, the Department has provided a very beneficial environment for me to pursue my interests through postgraduate study. As part of the dynamic intellectual community at Warwick, I have been able to further my appreciation of classical texts, as well as the influence they have exercised in other periods of history and their impact on culture today. During my undergraduate at Glasgow I discovered that I was especially interested in the field of epigraphy and wanted to learn more about this subject. I was advised that Warwick was one of the best places in the U.K. to study this subject and therefore I moved to Warwick in 2010 to pursue a M.A. in the Visual and Material Culture of Ancient Rome. This gave me the opportunity both to study epigraphy as well as spend two months in Rome as part of an intensive course given by the British School at Rome. After this fantastic experience, I was encouraged to continue with my research at PhD level at Warwick. I greatly enjoyed and benefitted from my time at Warwick as I made some lasting friendships and also had the opportunity to make valuable contacts in the research community. While undertaking the PhD I had the possibility to expand my research networks and gain important feedback on my work by attending and presenting at various national and international conference as well as in-house seminars. The department provided a supportive atmosphere wherein I could trial new ideas and provided me with important training which honed by research skills. This training greatly aided me in the pursuit of a career in academia. I completed my undergraduate degree in Classics at the University of Queensland, Australia, with a strong interest in ancient numismatics. I chose the Masters in Visual and Material Culture at the University of Warwick as the program that would equip me best with the knowledge and skills required to specialise in my field of choice. The program is structured in a way that prioritised specialised study in my area of interest, while ensuring I remained well-rounded through a wide-ranging, student driven methodology unit and optional numismatics, epigraphy and art history courses. I was also able to select ancient and modern language units, ensuring that I would be equipped with the language skills required for higher research. My research papers and final dissertation have provided pieces of original research that I have been able to publish as journal articles during the first year of my PhD. I am now a co-tutelle PhD student, dividing my time between Warwick and Macquarie University, Australia, where I can put the numismatic training I received through my MA program into practice at the Australian Centre for Ancient Numismatic Studies. My project- a study of the coinage produced by the Antonine emperors- was made possible through the skills and specialised supervision I received throughout my Masters degree. Having done my undergraduate degree at Oxford, I came to Warwick to undertake postgraduate research in ancient Greek fiction for a PhD. 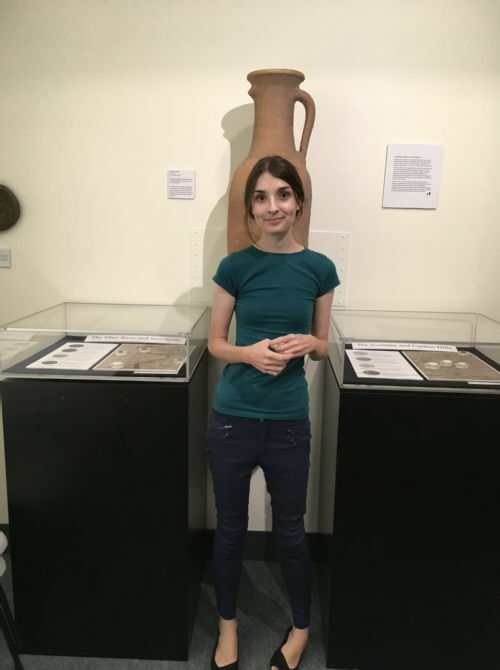 Although Warwick is a very different sort of university, and the modern environment couldn't have formed a greater contrast with the medieval town of Oxford, I immediately felt at home, not least because everyone in the department of Classics and Ancient History was so friendly. In fact, I was made to feel more like a member of staff than a student! I was attracted to Warwick by a number of factors, including funding opportunities, the resources available for postgraduate students, the wealth of relevant expertise and experience among the department's staff, and the research rating of the department. Postgraduates also make up a large proportion of the population of Warwick students (c. 40%), and this meant that although I was working on my own project, I didn't feel isolated; in fact, I met a very large range of people working on all subjects from all over the globe, and in particular learned a great deal from others working in departments such as English and Philosophy. With such a large number of postgraduates, Warwick is very serious about ensuring that its students have the relevant skills-training for their discipline so that they complete their studies successfully and are equipped for their careers, whether in academia or not. Since I wanted to pursue an academic career, I also felt it was important to gain some teaching experience while doing my PhD before applying for jobs, and the department enabled me to do this by allocating me some Latin and Greek classes and seminar teaching. I thoroughly enjoyed my time at Warwick, made some lasting friendships, and was well looked after. It is certainly a good place to be a postgraduate student, and has concentrations of research interest which are very appealing to those who want to carry on with Classics beyond an undergraduate degree.